Born on the 17th of December, 1955 in Nakskov, Denmark Kim Sjøgren grew up in Bryrup, Denmark. Kim’s mother noticed early on her son’s musical talent. At the age of 2, Kim began playing harmonica, but soon switched to a 1/4 violin. 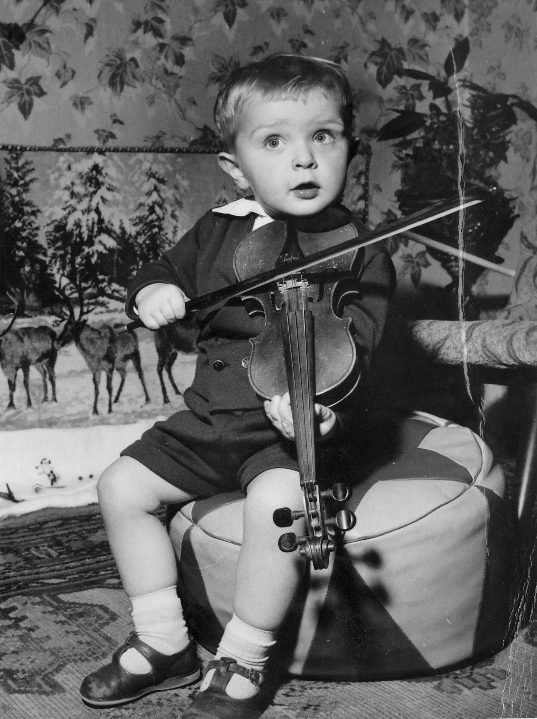 Kim’s first appearance on stage with his violin was at the age of 3. After being taught by his mother and by professional violinists, Kim was accepted as an exception by the minister of culture, Bodil Koch, at The Royal Academy of Music, Aarhus, Denmark at the age of 12. In the 8th grade, Kim had the choice between gradeschool and fulltime studying at the Music Academy. Kim chose to give the violin a chance. His début concert was at the age of 17. Three years later, after his studies abroad, he became member of the Royal Danish Orchestra, where he was appointed the position of concert master at the age of 22, the youngest in the history of the orchestra. 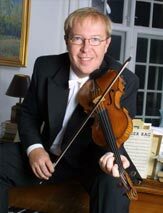 In 2005, Kim was appoinyed the position of Professor of violin and chamber music at The Royal Academy of Music, Aarhus. Member of the "Copenhagen Chambertrio"
Has studied in Tjekkoslovakia with Prof. Maria Hlounova and Prof. Pegelsky, in Romania with Stefan Gheorghiu as well as with Joseph Silverstein in the USA thanks to a recommandation from Isaac Stern. Kim Sjøgren has received various prizes throughout the years, such as, the Jacob Gades grant, Peder Møllers music prize, the Music Reviewers artist prize, etc.